Want to be notified of new releases in codebusking/react-pwa-guide-app? 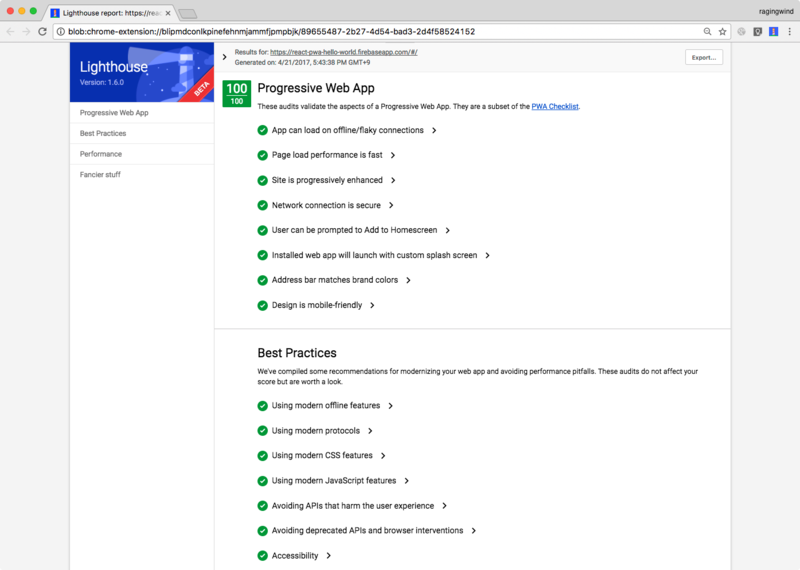 This is a guide kit is designed to show how to make a Progressive Web App(PWA) and PWA features in React.js development environments. Customized and opinionated tools and build process are optimized to achive high-performed web application which is audited by strict auditor, Lighthouse. Moreover, this guide kit is also backed by Firebase for hosting, realtime database, and also push notification. Demo is working on firebase hosting. Please take a look. Registering a Service Worker without a trusted SSL Connection will fail with: Failed to register a ServiceWorker: An SSL certificate error occurred when fetching the script.